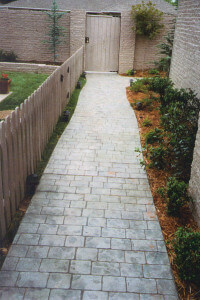 If you are in the process of considering options for a new walkway, driveway, patio or pool deck in your Mustang home, you should give serious consideration to stamped concrete. Durable and easy to care for, it can offer you a wide range of flexibility in terms of its application and installation. In terms of cost effectiveness it is far more affordable than other types of paving material such as masonry or natural stone. We here at Bill’s Custom Concrete have been providing concrete solutions to homes and businesses throughout Oklahoma City since 1976. 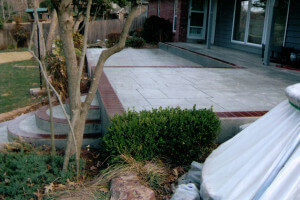 In that time we have completed our fair share of stamped concrete applications. Our years of experience with stamped concrete have allowed us to develop the following list of advantages and things to consider regarding paving with stamped concrete in Mustang, Oklahoma. It is also resilient. 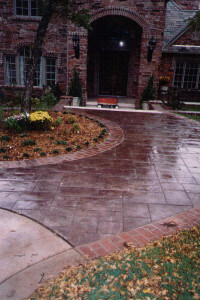 Stamped concrete in Mustang tolerates and resists a broad range of temperatures. From extreme heat to freezing cold. That is a characteristic that not all paving surfaces can boast about. Call Bill’s Custom Concrete today at (405)755-3975 to schedule your appointment for one of our professionals to evaluate the possibilities that stamped concrete can play in your Mustang, Oklahoma home or business. You can also complete our contact form here and we will be in touch as soon as possible.